Most people head to the outdoors to be immersed in nature and escape crowds and our electronic world. Others escape to the outdoors to be immersed in nature—but with a twist. 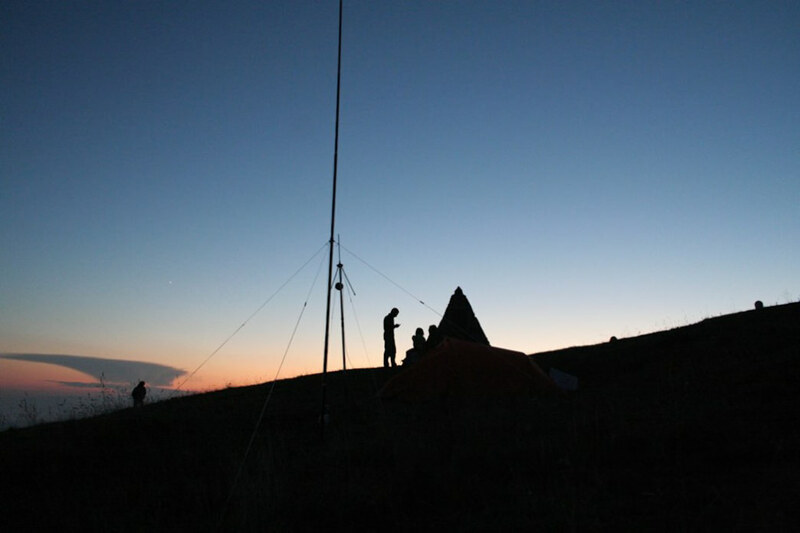 Welcome to the world of Hiker Hams: amateur radio operators, better known as "hams", who hit the trail and bring along not only their hiking gear but their radio equipment as well. They hike to their favorite lake or rock outcropping, even hike the entire Appalachian Trail, and talk to the world. And several of them do it right here in Alabama. 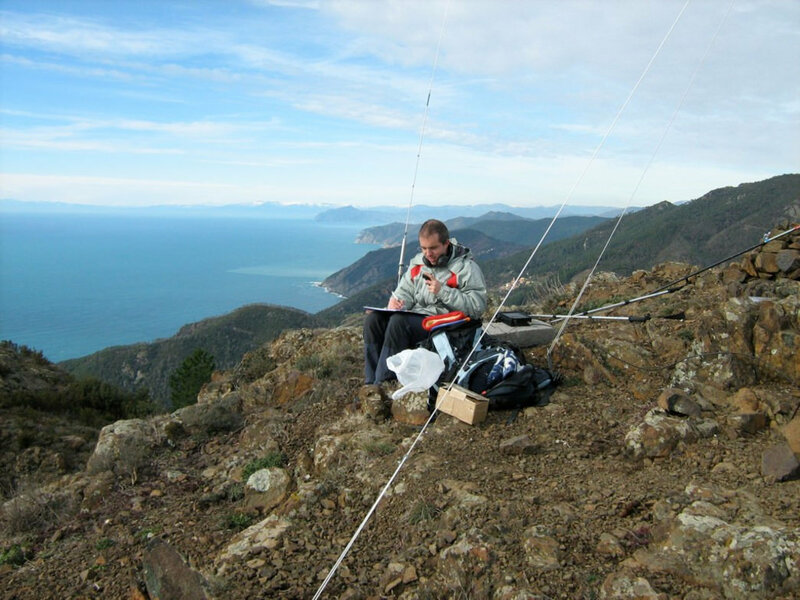 Amateur radio is a form of communication that uses high frequencies, sometimes called shortwave, that allow operators to communicate with other hams around the country and around the world. The advantage of these high frequencies is that a lowly radio signal gets a little help from the atmosphere. Depending on the conditions in the atmosphere, radio waves can bounce off it at different angles and make it possible for even the smallest and lowest power transmitter to reach another station thousands of miles away. But the image of ham radio enthusiasts—traditionally, a headphones-wearing operator sitting in a your dark garage or basement, tapping out Morse code and listening for a faint distance signal from across the pond—is evolving, thanks in large part to improvements in equipment. 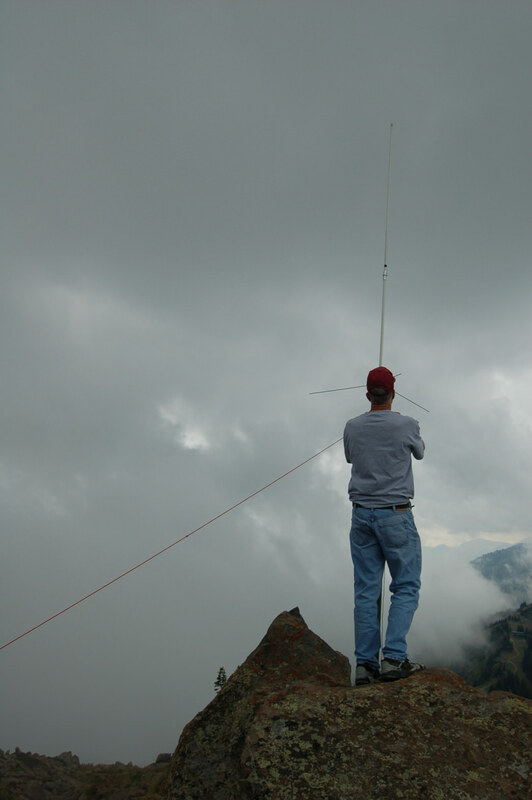 Years ago, ham equipment was huge and heavy, especially the big bulky antennas that operators used—there was no way you would ever carry one around on your back down a trail. But over the last couple of decades, technology has improved and equipment has downsized. Now, small handheld satellite transmitters/receivers are easily accessible; savvy operators can also find, or build, radios that are roughly the size of an Altoid tin. These ultra-small and lightweight radios only use one watt of power but can still contact Europe from, say, a far-flung wilderness location like the Pinhoti Trail. As a result, many hams have gone mobile, connecting with each other across the globe (or just to a neighboring state), from the banks of a lake or with a beautiful panoramic view from a nearby rock outcropping. An obvious question, however, is why hike with your radio gear? According to Sean Kutzo (KX9X), media and public relations director for the American Radio Relay League (ARRL) , and an avid hiker, the answer is fairly simple. He explains that ambient noise is increasing, especially in urban areas, making it more difficult to find an operating location free from the interference generated from electronics like TVs and fluorescent lights. The static these noise sources generate make it more difficult to hear the signals present on the bands. He added that the wilderness setting is another bonus. "Of course, that doesn’t address the sheer beauty of the scenery when transmitting from a portable location on a mountain or on a trail. It certainly beats operating from a room in your house!" So how many hams are hitting the trail each year? According to ARRL, there are no hard numbers; they can only estimate it at "tens of thousands". An example of how popular the hobby is with hikers came in 2016 when the National Park Service was celebrating its 100th anniversary. Kutzo was inspired with an idea after watching the Ken Burns’ documentary, National Parks: America’s Best Idea. Coincidentally, ARRL had just celebrated its own centennial. Within an hour after watching the documentary, he came up with a year-long event called National Parks on the Air. 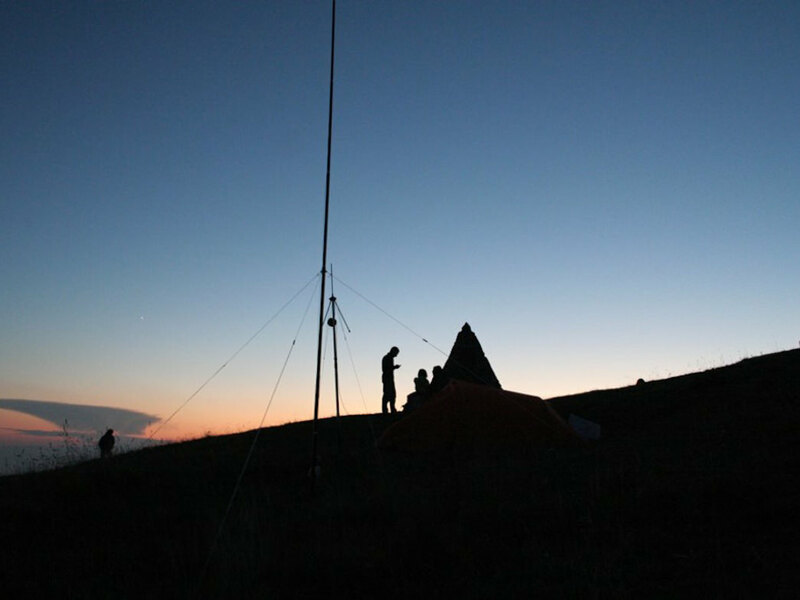 The event was a huge success, with more than 1.1 million radio contacts with the hams that were on the trails and rocky peaks of our National Parks being reported. Additionally, ham radio operators are now thru-hikers of the Appalachian Trail, logging contacts all along the path from Maine to Georgia. Websites are springing up helping prepare and guide these Hiker Hams along the 2,100-mile route, even going as far as setting up message and safety communications for thru-hikers. And once a year Hams get together at different locations across the country to celebrate the work of the Civilian Conservation Corps by having a weekend on-air "gab fest" at former CCC camps. The CCC used amateur radio as they built the nation’s state and national parks. A group always meets on Alabama’s Pinhoti Trail each year to join in.